Piece with Curve and win one of the hand-colored Curve screenprints (see previous post) and a Curve shirt! We will pick ONE winner on Friday, 10/24. Good luck and have fun! We are proud to announce the release of an exclusive print created by Curve on the occasion of the release of Carnage Issue 8! The print is based on one of the comic strip pages Curve created for Carnage Issue 8. Mixing pop sensibility with cartoon art and graffiti flair, this hand-colored print highlights Curve's talent as an artist and illustrator. 18x24", hand-colored, signed and numbered screenprint in an addition of only 45. Available in the store on Friday, 10/3 at noon ET! Exlusive NY Art Book Fair releases: Curve, Dave Schubert and more! 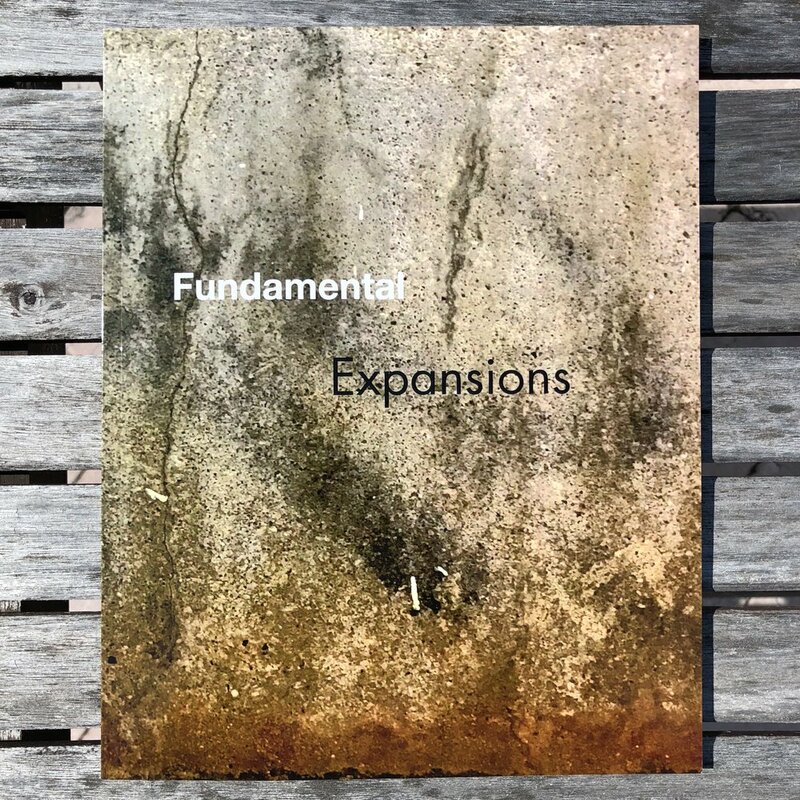 We are excited to announce the release of several new titles at the New York Art Book Fair at PS1 in Long Island City from September 25-28 where we will be sharing a table with EKG Labs in the zine tent. All new items will also be available in the store on Monday, 9/29 at noon ET (pending availability). 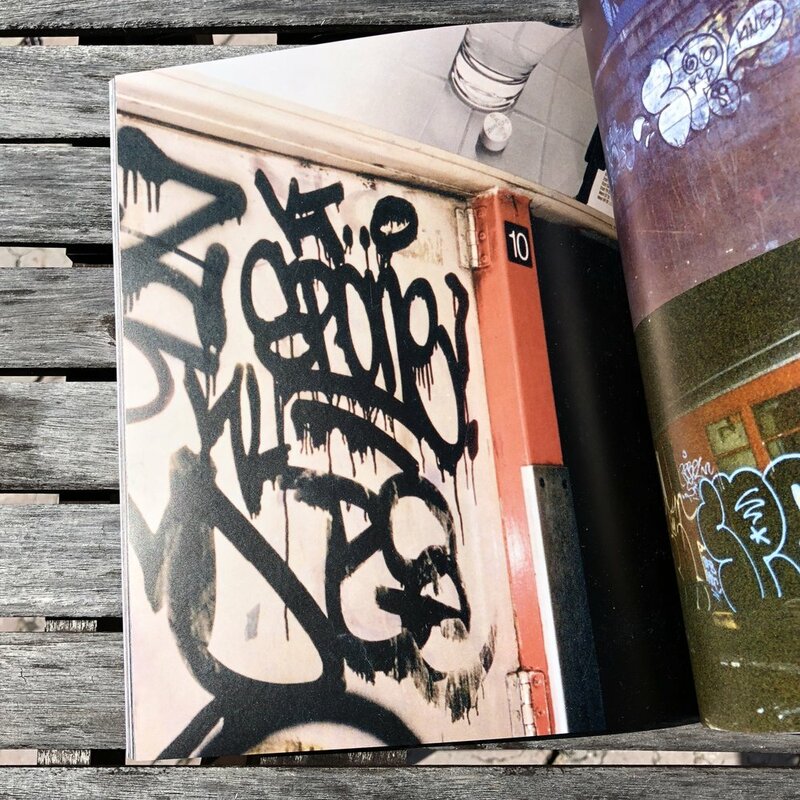 Carnage Issue 8 is a collaboration with graffiti writer, artist and illustrator Curve. Box trucks have come to take the place of subway cars in New York as moving canvases for graffiti writers that allow their work to travel across the city. Curve explores the theme of box trucks in the form of photos of painted trucks, drawings, illustrations and a series of comic strips created exclusively for this issue. 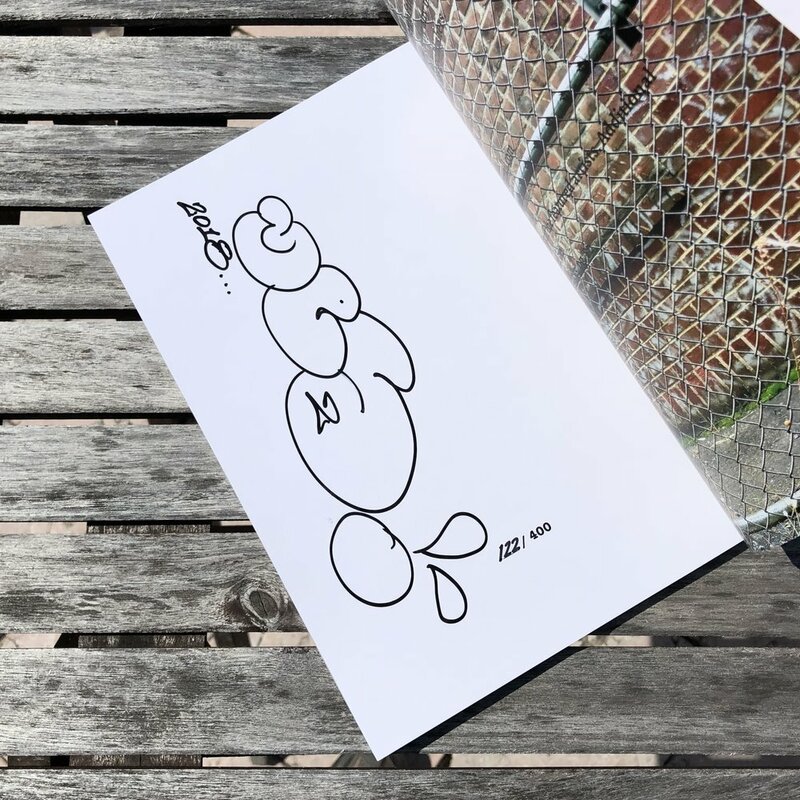 The zine also comes with a cut-and-fold Curve box truck model, a custom ultra flat black truck air freshener, a set of vinyl stickers and a handwritten Curve sticker. Issue 8 is limited to 500 numbered copies with screenprinted front and back covers. Large format, full color, perfect-bound, 52 pages. Also available: A limited run of Curve T-shirts. Out next week: An exclusive 18x24” hand-finished Curve screenprint in an edition of only 45. Drink Whiskey All Day and Climb Trees at Night is a new collection of photos by legendary San Francisco photographer Dave Schubert. For decades Schubert has immersed himself in documenting his friends and contemporaries and the work they left behind on walls, shutters, trucks and buses. 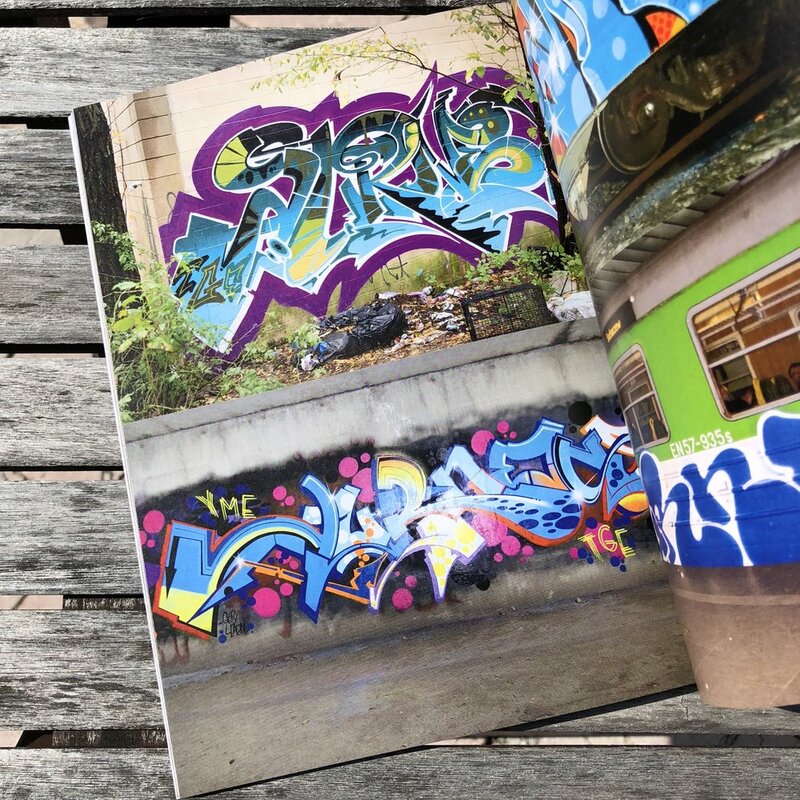 This zine features a representative cross section of some of the best of Schubert’s work, including portraits, street photography, classic Bay Area graffiti and action shots of artists like MQ, Sace (RIP) and others. Edition of 200 with a screenprinted cover. 5.5x8.5”, 52 pages. September 12, by Ray Mock, is a collage zine composed of newspaper headlines from New York-area papers from September 12, 2014. The headlines have been juxtaposed, truncated and re-combined, forming a mosaic of current events that allows viewers to come up with their own reading and interpretation of the narratives that occupy our public discussion thirteen years after 9/11. Edition of only 35 with a screenprinted cover. 5.5x8.5”, 20 pages. Banksy in New York, Grilled III plus zines, scrolls, shirts and artwork by EKG (including several collaborative projects), Droid 907, Ntel, Stikman, Smells, Cash4, SubCulture, Abe Lincoln Jr. and others!